A very useful Custom ROM fo Galaxy S3 I9305 LTE based on Android 4.1.2 XXELKC, with lots of tweaks and customization that are meant to make the OM more useful and smooth. The ROM is ready to be used as a daily ROM, it is fast, it has long battery life and runs really smooth. Floating Folder – Folder always on top, easier access, add your favorite apps. 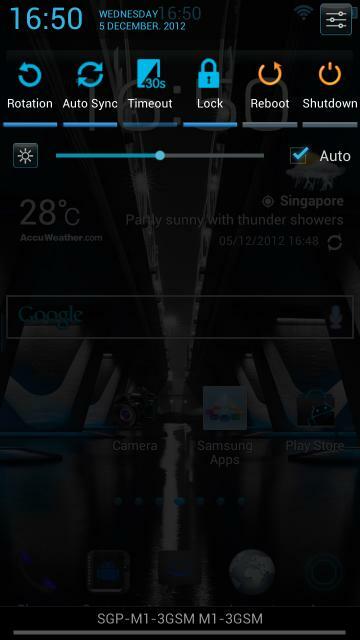 Transparent Widgets – weather and music player transparent widget. !!! Before installing this ROM, you have to understand that you are the only one responsible if anything happens to your device. We cannot be held responsible for this. There are risks when installing Custom ROMs and you have to understand them. You should have rXTREM ROM installed on your Galaxy S3 I9305 now.